In the business world, a group life insurance policy is considered a common benefit. It is inexpensive for a company to provide. The premiums are low and within the reach of most employees who can properly manage their credit or debit. Most importantly, once started, they are simple for an HR department to administer. However, for an HR team looking to set up a group life insurance for their company’s benefit package, there are a few factors that could radically change what sort of coverage they buy. Here are five factors that could mean the difference between a positive insurance insurance benefits package, and one that is a drain. Before anything else, you should work out who in the company will be covered by the policy. The two common choices are to insure all full-time employees, or a handful of top executives. The latter appears to be the cheaper option. However, remember that most group policy’s lower their rates in proportion to the number of people in the policy. As well, the government makes policies that cover 70% of employees tax deductible. As a result, choosing involvement should be done carefully. There are two key types of policies out there that companies acquire for the top jobs in America. Basic policies offer less protection but won’t feature premiums or medical exams for employees. This guarantees high employee involvement. A supplemental plan more closely resembles a private plan, where employees can pay extra money in to receive more coverage. However, an insurance company will require employees in these higher dollar plans to go through a medical evaluation. They may even reject some high-risk employees. It also takes more time and energy to administer. The choice between these two will affect what sort of coverage you can provide. 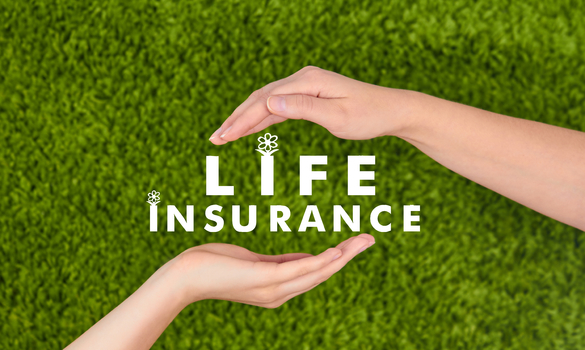 Most insurance policies will offer the option between term life insurance and permanent life insurance. Term life insurance offers your employees life insurance for a set amount of time, usually 10 or 20 years. Permanent meanwhile insures the employee until their death. Many consider term insurance a good alternative. It offers lower premiums and allows employees to add or remove coverage as their lifestyle changes. However, term insurance also means the insurance company can raise rates at renewal. If an employee has health problem in their first term, you may have to pay more if they renew. It’s essential to consider the long-term consequences of a policy before putting it into the benefits package. In addition to basic or supplemental coverage, you should consider other add-on insurance you can include in the policy. The two most common types of add-ons are for accidental death & dismemberment and business travel. Either of these would be useful depending on your company’s business. A franchise like TravelHost might benefit greatly. Or, if the work requires use of dangerous equipment, your employees may be insistent you have accidental death coverage. Meanwhile, business travel insurance ensures your people are protected no matter where they go. These add-ons let you customize coverage to fit your company. Before you sign off on your new insurance policy, its good to check with the employees. Life insurance policies are a popular benefit, but there will be many industries where they don’t fit. Your employees won’t get to keep their coverage if they change jobs. If they try to convert their company policy into a private one, they may be forced to pay a lot more. Moreover, for some employees, the maximum coverage of the plan might not be worth what they, and you, would pay. Benefits are only benefiting if they help your employees, so make sure this policy will before you buy it. Like all major company expenditures, adding an insurance policy to your benefits shouldn’t be taken lightly. It can end up costing a lot more to the company than it ever helps the employees. As a result remember to look for these factors when picking the one that’s right for you. Not all life insurance benefits are made the same. They are meant to be designed to fit your needs. Make sure you have all the information to fit them.